Easy control of your audio and video content from your iPod® and iPhone® is a beautiful thing and iPort recognized this early on. The iPort system works flawlessly and seamlessly with a large variety of leading local-zone audio systems, home automation systems, and A/V control systems, providing integrators the ultimate control solutions for iPods and iPhones as A/V sources in their projects. The iPort IW-22’s RJ-45 modular connections deliver balanced audio up to 500 feet and unbalanced video up to 30 feet. iPort’s integrated RS-232 allows compatible control systems to control the iPod/iPhone with two-way communication (including iPod metadata). 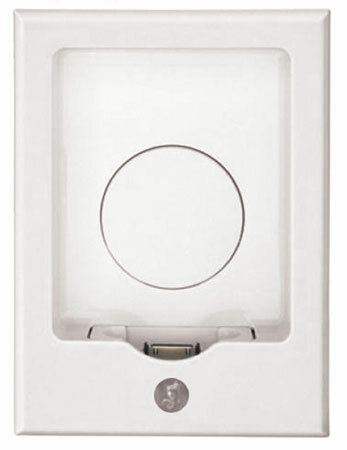 An IR control connection allows control of most iPod/iPhone audio functions by compatible IR control systems, and the illuminated LED on the faceplate allows IR control of essential iPod menu and playback functions by an optional iPort EX-1 remote. 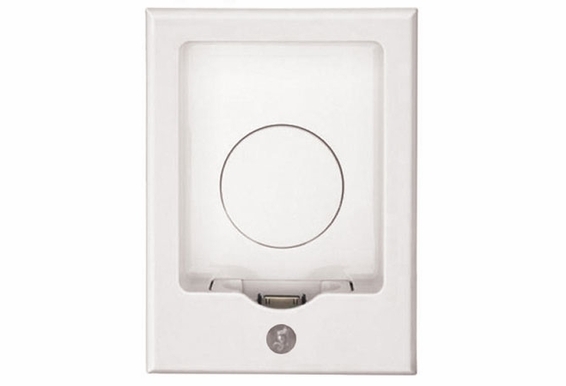 The included wall plates provide stereo RCA audio and S-video, component, and composite video connections, RS-232 and IR control connections, and connections for the included regulated DC power supply. The IW-22 accepts all Apple dock connector iPod models, and includes a back support, — a rubberized adjustment disc that compensates for the varying thicknesses of different iPod models. By recognizing early-on the need for integrating audio and video content from the iPod® and iPhone® into residential A/V systems, iPort® created the industry standard for controlling and playing iPod content. iPort is the only iPod and iPhone solution that works fl awlessly and seamlessly with a large variety of leading local-zone audio systems, home automation systems, and A/V control systems, providing integrators the ultimate fl exibility for including iPods and iPhones as A/V sources in their projects. Hi - is there an upgraded version of this with the lightning plug and would fit some of the larger iphones?